We serve delicious hot quesadillas with fillings from all around the world. 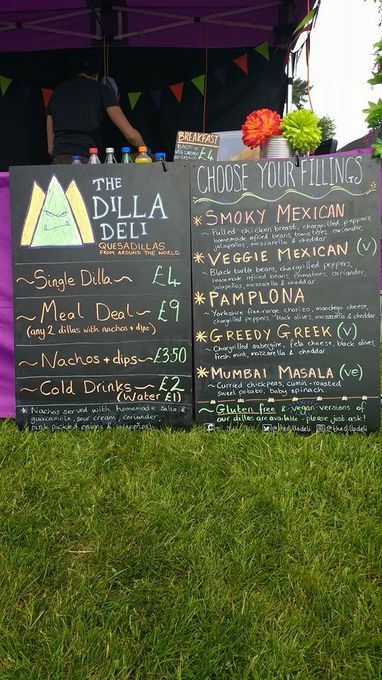 From Mexico to Mumbai, Venice to Vancouver and Paris to Peru our "dillas" have flavours to make you happy. Choose your favourite or try a selection. 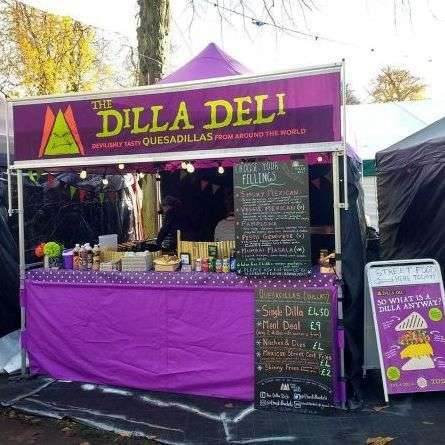 You can find The Dilla Deli trading at various markets and street food events around Yorkshire - look out for our purple gazebo - and we are also available to book for private parties and events. We serve snack size and meal size portions with delicious sides such as fully loaded nachos or scrumptious salads. The Dilla Deli is an environmentally conscious company; we use local produce wherever possible and all our packaging is biodegradable. Creative menu choices, great value, super tasty, lovely approachable staff and plenty of vegan/vegetarian options. I bought loads including extra to take home. 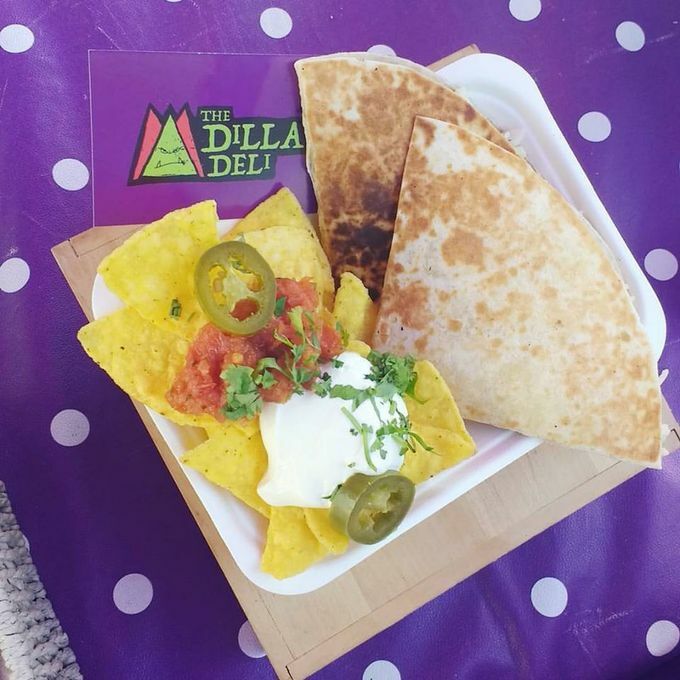 I work at a lot of events eating 'street food' all the time and my job would be loads better if I could eat killa dillas more often! 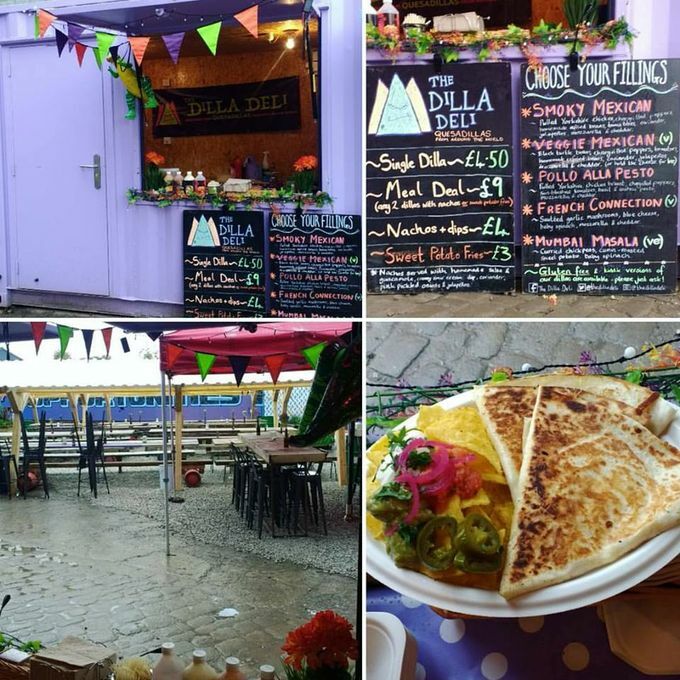 Quesadillas from around the world, salads, nachos.